Viva Orchestra, Du Page County Youth Symphony, West Virginia University Symphony Orchestra, Yi-Qi Orchestra, and Evergreen Symphony Orchestra. First Prize winner of the 1995 Taiwan National Piano Competition, Dr. Hsiao won the Gina Bachauer Piano Competition at The Juilliard School, Steinway Solo Piano and Concerto Competitions, American Musician Scholarship Competition, and MTNA Illinois State and Eastern Central Division Piano Competitions. She was a national finalist of Lincoln Center’s Chamber Music Society II and was a recipient of Taiwan’s “Rising Star” Award, which led to recurring performances at Taiwan National Concert Hall. Juilliard Ensemble. Her performance of John Corigliano’s Etude Fantasy earned the composer’s high acclaim. 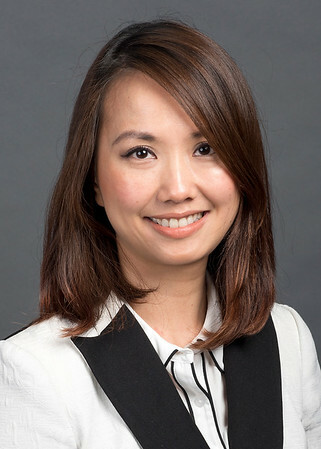 Dr. Hsiao received her Bachelors, Master’s, and Doctorate of Musical Arts degrees in Piano Performance from Juilliard, where she graduated with the Alan Fay “Outstanding Pianist” Award. Her principal teachers include Yoheved Kaplinsky, Jerome Lowenthal, Emilio del Rosario, Juanelva Rose, and Gordon Chin. She has also worked with Julian Martin, Robert Shanon, and Arie Vardi and studied chamber music with Itzhak Perlman and Seymour Lipkin. She was a studio accompanist of Itzhak Perlman and performed in masterclasses for Claude Frank, Jeffery Kahane, and Krystian Zimerman. do Castelo International Music Festival, and U.S.-China Piano Festival. Dr. Hsiao is Director of West Virginia International Piano Competition and Festival and the Regional Director of Elite International Music Competition. She was the former Executive Director of Geneva Conservatory of Music in New York City. She frequently adjudicates piano competitions in NY, NJ, CT, FL, IL, and PA. Her upcoming projects include recording an album of Two-Piano Works by Gregory Smirnov and a solo album of Piano Works by Gordon Chin.